Texas cowboy Robert Lemmons was one of the greatest mustangers of all time. He became a legend in his day by perfecting his unique method of catching wild mustang horses. Robert Lemmons was born a slave in Lockport, Caldwell County, Texas in 1848. He moved to Dimmit County, Texas; then a sparsely uninhabited land overrun by wild horses. Lemmons gained his freedom at the end of the Civil War at age seventeen. He found employment with Duncan Lammons, a man who taught him about horses and gave Robert the surname “Lemmons,” (a variant spelling that evolved over the years). Robert Lemmons farmed, hauled supplies, and went on cattle drives for Duncan Lammons. No other cowboy equaled Lemmons in capturing mustangs, which were in high demand for roundups during the cattle drive era of the 1870s and 1880s. Lemmons usually worked alone totally isolating himself from humans to gain a mustang herd’s trust and thereby infiltrate the heard. He then uprooted the herd hierarchy by mounting the lead stallion and then taking control of the herd, which followed him into a pen on a nearby ranch. In 1870 at age twenty-two, Robert Lemmons had earned a small fortune of $1,000 for gathering wild mustangs. He bought his own ranch and learned how to read and write. Eleven years later he married Barbarita Rosales, a Chicana, on September 3, 1881. The couple had eight children. During his life Robert Lemmons had amassed 1,200 acres of land and impressive holdings of horses and cattle. With his own financial security achieved, Robert and Barbarita Lemmons became well known as people who helped their neighbors during the Great Depression. 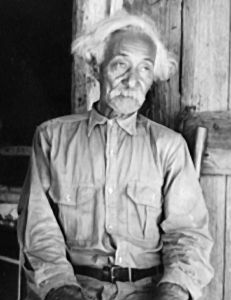 Robert Lemmons died on December 23, 1947 at the age of ninety-nine years. Tricia Martineau Wagner, Black Cowboys of the Old West (Guilford, Connecticut: The Globe Pequot press, 2011); Florence Fenley, Oldtimers: Frontier Days in the Uvalde Section of Southwest Texas (Uvalde, TX: Hornby, 1939); J. Frank Dobie, The Mustangs (Boston: Little, Brown and Company, 1934).